In his first official bilateral visit to Kazakhstan since April 2008, President Islam Karimov and other senior Uzbekistani officials discussed a range of important bilateral, regional and international issues with their Kazakhstani counterparts in Astana on September 6–7, 2012. These topics included boosting two-way economic ties, discouraging other Central Asian countries from taking actions that threatened their water supplies, and discussing how to manage the ongoing civil war in Afghanistan. Karimov cited the ongoing withdrawal of NATO forces from Afghanistan, as well as the «occasionally contradicting interests in Central Asia» of the great powers, as requiring the Central Asian countries to cooperate their efforts to promote regional stability, prosperity, and peace in their region in the face of such regional threats as terrorism, extremism and narcotics trafficking (Interfax-Kazakhstan, September 7). For example, Karimov and Nazarbayev pledged to coordinate their activities in regional and international organizations in areas of mutual interest. These include the Commonwealth of Independent States, the Shanghai Cooperation Organization (SCO), and the United Nations. With respect to the SCO, the presidents agreed to work to expand the SCO’s capacities to effectively meet the contemporary challenges and threats (Uzbekistan National News Agency, September 8). The two presidents expressed grave concern about the situation in Afghanistan and pledged their support for resolving the conflict as soon as possible. They also reaffirmed their commitment to contribute to the socio-economic reconstruction of Afghanistan (Uzbekistan National News Agency, September 8). Kazakhstani analyst Dosym Satpaev notes that Uzbekistan has more interests at stake in the Afghanistan conflict than Kazakhstan. Not only do they share a common border as direct neighbors, but many ethnic Uzbeks reside in Afghanistan. Even so, Astana has been assuming a leading role in offering young Afghans scholarships to study in Kazakhstan. Uzbekistan has helped construct Afghanistan’s infrastructure, including its Internet and incipient railway network. The most important issue that arose in their discussion was that of regional water rights. Kazakhstan and Uzbekistan have suffered serious water shortages in recent years. In particular, they have found it difficult to manage the Aral Sea, which borders both countries. Inefficient use of the Syrdarya and Amudarya rivers for fertilizing cotton production has led to a disturbing shrinkage in the sea’s surface area, increasing harmful atmospheric dust. On the other hand, Kazakhstan and Uzbekistan do share important interests regarding the issue of regional water management. The two countries use Central Asian water supplies primarily to irrigate crops as well as for direct consumption. In contrast, Kyrgyzstan and Tajikistan seek to convert the region’s water resources into electricity, some of which they can sell to neighboring countries. At their most recent summit, Nazarbayev and Karimov insisted that all Central Asian countries that use transnational rivers would have to consent to the construction of dams or other hydro-power facilities. They proposed that an expert group be formed to investigate the issue and offer recommendations in accordance with relevant UN conventions. Nazarbayev has previously called for establishing a water energy consortium among Central Asian countries to help manage such problems (Office of the President of the Republic of Kazakhstan, April 22, 2008). The issue of most concern to Kazakhstan and Uzbekistan is the planned construction of the Rogun Dam in neighboring Tajikistan. Authorities in Tajikistan see the dam as essential for expanding their electricity generation, but Kazakhstani and Uzbekistani officials fear it would disrupt their water supplies or at least make them dependent on Dushanbe’s good will. They do not want Tajikistan to begin building or diverting water for the dam until the World Bank completes its feasibility studies assessing the technical, economic, environmental and social impact of the project. Kazakhstan has become Uzbekistan’s major trading partner in Central Asia. Economic ties between the two countries are currently on the rebound. In 2011, bilateral trade exceeded $2.7 billion, a 47 percent increase over the same figures for 2010 (Journal of Turkish Weekly, August 16). During the first six months of 2012, bilateral trade reached $1.4 billion, an 18-percent increase over the first half of 2011. More than one half of Uzbekistan’s trade turnover with Central Asian countries is with Kazakhstan. They aim to double their trade within the next few years (Astana Calling, September 7). Furthermore, Kazakhstani and Uzbekistani investors have established hundreds of joint business ventures. According to Kazakhstani sources, more than seven hundred small- and medium-scale enterprises operate in Kazakhstan with some Uzbek investment (Ministry of Foreign Affairs of Kazakhstan, February 22). These joint ventures operate in such commercial sectors as food, pharmaceuticals, construction, chemicals and manufacturing. Since both countries became independent in 1991, their governments have signed more than one hundred bilateral agreements. 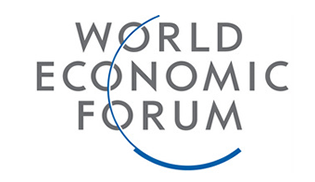 The most important of these documents include the Program for Economic Cooperation Between Kazakhstan and Uzbekistan for 2006–2010 and the Strategy for Economic Cooperation Between Kazakhstan and Uzbekistan for 2007–2016. Nevertheless, many of their bilateral agreements have not been fully implemented. Nazarbayev said that the two governments should review these existing documents with the aim of consolidating them by discarding those that are outdated or of little value while adding new ones to address new issues (Astana Calling, September 7). The two presidents noted how their two countries’ transportation and communications infrastructure is mutually supporting. Nonetheless, the similar economic profile of both countries, along with their excessive customs duties and border controls, unduly constrain their bilateral commerce. This year, the two countries, which both gained independence following the collapse of the Soviet Union, have been marking the 20th anniversary of their bilateral ties. On June 14, an international conference on «Twenty Years of Mutually Profitable Cooperation of Kazakhstan and Uzbekistan: Past, Present and Future,» saw experts from both countries discuss their relations, especially terrorism, religious extremism, drug trafficking, smuggling and migration issues (Central Asia Online, August 25). They also have been hosting special cultural events that have seen artists from one country perform in the other. A monument to Abay Kunanbayev, a famous Kazakh writer and philosopher, is being built in Tashkent to mark the anniversary (Astana Calling, September 7). Both presidents correctly noted the strong community of interests and indivisibility of destinies of the two countries. They share centuries of common history, common values and similar native languages. 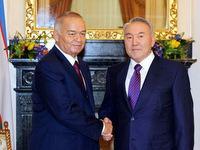 President Karimov observed that they needed to meet more frequently (Interfax-Kazakhstan Online, September 7). To this end, he invited Nazarbayev to visit Uzbekistan at a convenient time.